An intoxicated passenger had to be restrained after attempting to open an exit door on a flight from London to Boston, authorities said Tuesday. Massachusetts State Police met British Airways Flight 213 upon arrival at Logan Airport to take the passenger, identified as a woman in her 30s, into custody, police said. "Investigation determines passenger was intoxicated, tried to open EXIT door, not cockpit door. No known nexus to terrorism at this time," State Police said in a tweet. Police said witnesses were being interviewed and that the woman "will most likely face charges of at least interfering with the flight crew." The FAA issued a statement before the plane landed assuring the public that the plane was not imperiled. "The cockpit is secure and the flight is continuing to Boston," the FAA said. 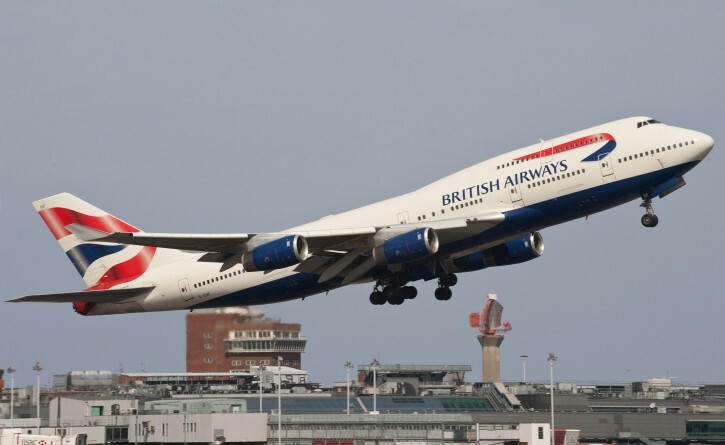 British Airways issued a statement calling the woman "unruly," adding its "customers and crew deserve to have a safe and enjoyable flight and we do not tolerate abusive behavior." The flight landed about 30 minutes ahead of schedule.